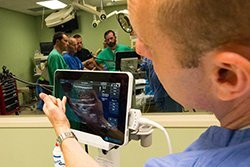 As trends in higher education continue to evolve, administrators at Middle Tennessee School of Anesthesia are making sure students receive program content in a format that meets their needs. 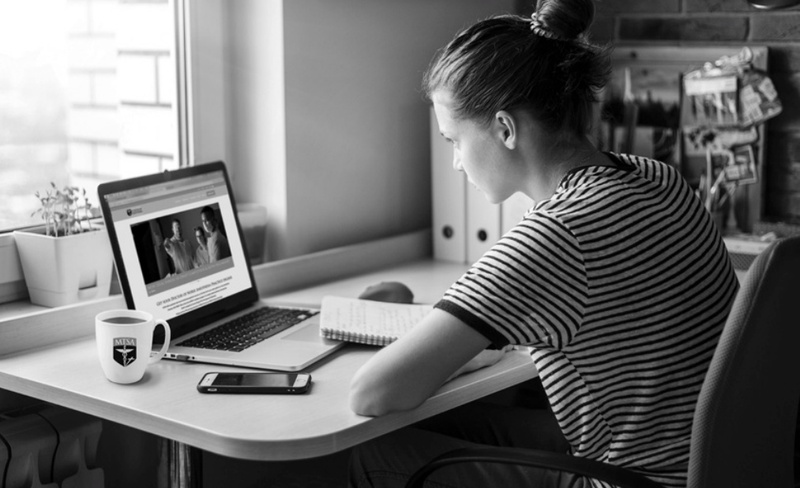 In many cases, that means an incremental shift from the classroom to online coursework. For instance, the Doctor of Nurse Anesthesia Practice (DNAP) Completion Degree for CRNAs is now offered completely online over the course of two years. In addition, the new Acute Surgical Pain Management (ASPM) Fellowship features online modules for all of its coursework, along with hands-on workshops. Since 2013, the School has offered different formats and types of educational delivery for the DNAP Completion program. In the process, administrators have received valuable feedback from students who have completed their degree. Using this feedback, Overstreet said MTSA created a two-year program which enables doctoral students to be successful in managing the coursework as well as a full-time job and the responsibilities of their home life. “I feel the two-year program allows for a more balanced life style while trying to devote specific time to study. It also means students no longer have to travel to MTSA for an intensive week each semester. Instead, MTSA comes to them. The benefit of having an online format allows MTSA to reach students near and far. 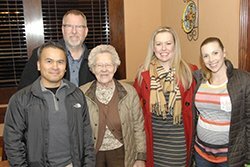 Because of the advances in the ease and use of technology, a CRNA in another state—or even locally—can have a ‘digital’ face-to-face meeting with faculty if they have questions, need clarification, or want to discuss a particular topic of interest,” Overstreet said. Another new option for CRNAs is dual enrollment in both the two-year DNAP Completion program and the ASPM Fellowship. This dual track allows doctoral students to complete their doctoral coursework in the first year and devote their second year to the coursework in the Fellowship while completing a scholarly project with a focus in acute pain management. In addition, students who take the dual enrollment option are eligible for a 25 percent tuition discount for each program, Overstreet said. 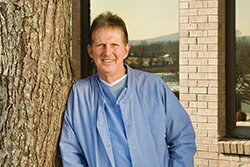 Led by Bill Johnson, DNAP, CRNA, MTSA’s ASPM Fellowship is entering its third year and continues to attract CRNAs from across the country. Participants are now eligible to receive 150 Class A CE credits upon completion of the program. “The MTSA Fellowship faculty along with Dr. Johnson, an expert in acute surgical pain management, will provide content expertise in the scholarly projects for those students who choose dual enrollment. In addition, Dr. Johnson has embraced online technology for the ASPM Fellowship and has created three comprehensive online courses. Each course contains multiple modules that the Fellows complete within a specified time period. The new learning management system allows learners to access the course materials from their home computer or mobile device,” Overstreet said, adding that the School will be implementing similar technology for the DNAP Completion program. The objective of the Fellowship—a partnership between the American Association of Nurse Anesthetists (AANA) and MTSA, as well as a component of the Pain Management Curriculum—is to advance the knowledge and skills of CRNAs in acute surgical pain management and prepare them to help meet the growing need for this evidence-based approach in the United States. The application period for the DNAP Completion Degree and ASPM Fellowship is now open through June 30. The programs start Sept. 2. These dates also apply to dual enrollment. 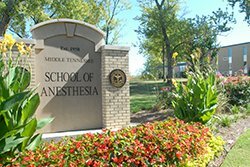 Founded in 1950, Middle Tennessee School of Anesthesia (MTSA) provides graduate-level education and training of nurse anesthetists in a Christian environment born of its Seventh-day Adventist heritage. 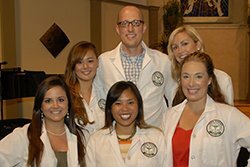 MTSA is the only independent, fully accredited anesthesia institution of its kind in the nation, instilling excellence through innovative and diverse clinical experience. More than 75% of Middle Tennesseans having surgery entrust their lives to its graduates on a daily basis. A leader in academic, clinical and professional distinction, MTSA is responsive to the needs of its constituents, providing affordable graduate education for students from diverse backgrounds. For more information, visit www.mtsa.edu or call (888) 353-MTSA.